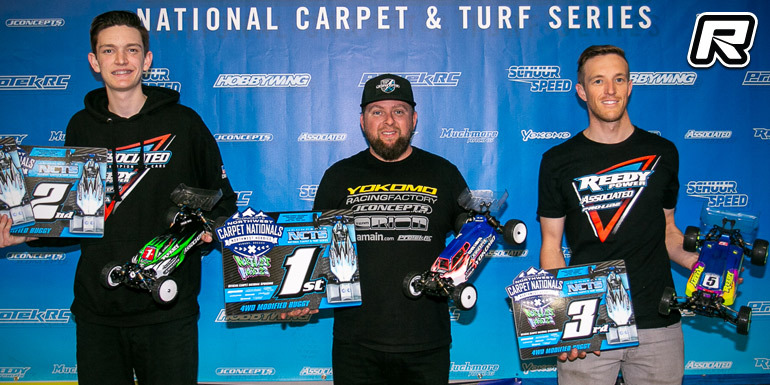 Undefeated in 4WD Modified Buggy this year in 2019, Team Yokomo’s Ryan Maifield came from 2nd on the grid to score another win. While leading in A2, AE’s Broc Champlin, unfortunately, suffered a mechanical on the 2nd to last lap that allowed Maifield to get by and win A2 along with the overall. Champlin finished 2nd with Dustin Evans earning the most improved award as he found more speed on main day to finish 3rd overall. 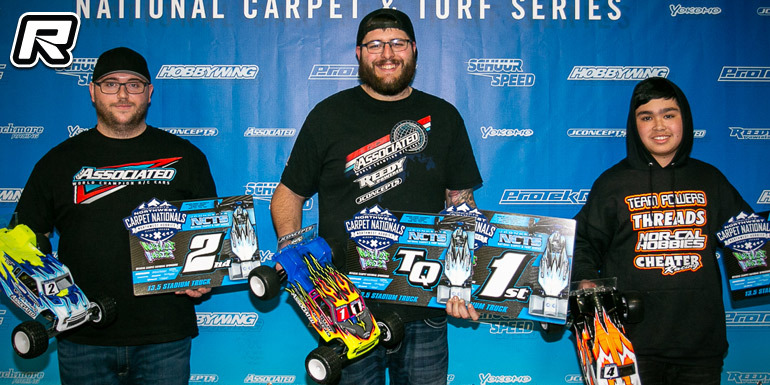 In 40+ 2WD Modified the King of 40+, Brent Thielke, marked his return with an exclamation as the AE Team Manager cruised himself to a comfortable victory in the 40+ 2wd class. Thomas Tran was able to recover after a lap 1 incident that shuffled him back to last place. One of the fastest NW 40+ guys around, Phil Vitale found himself 3rd overall and on the podium. In 13.5 4WD Modified it was Matthew Gonzales, Alesio Coffaro, and Josh McCall stealing the show much like in 17.5 2WD buggy class. However, displaying his growing confidence and speed, Matthew was able to lock up the overall with brilliant driving in A1 and A2. The NW talent, Alesio Coffaro, finished 2nd with McCall taking home the 3rd place trophy. 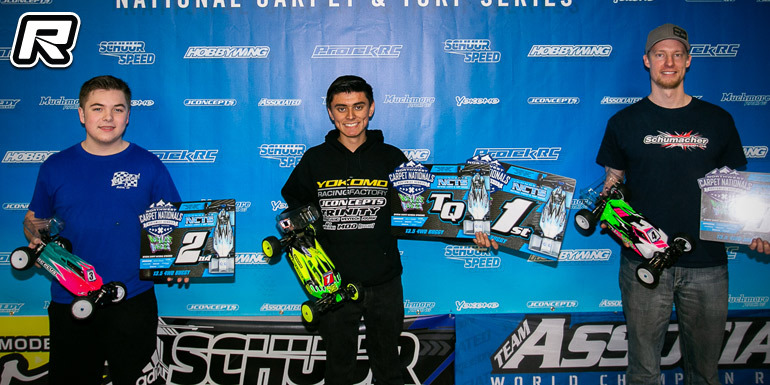 Taking his 1st ever victory at a major JConcepts event, Casey Vitale makes good in the highly contested 13.5 Stadium Truck class defending his home turf. 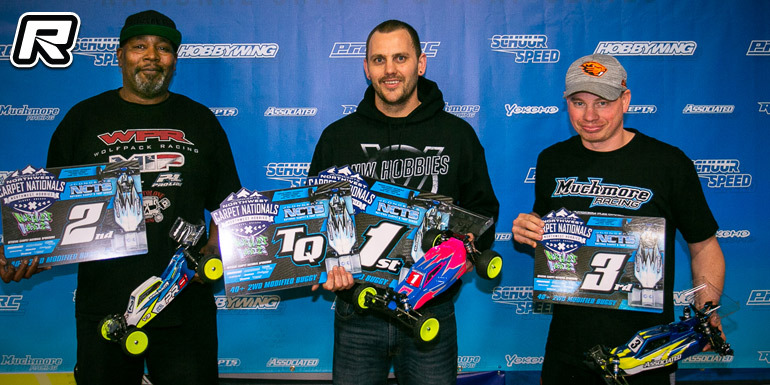 It was a close battle between two prominent Northwest drivers, Kody Knudtson and Casey Vitale during the extended single 8 minute main, Vitale edged out Kody in the closing minutes and took home the overall. 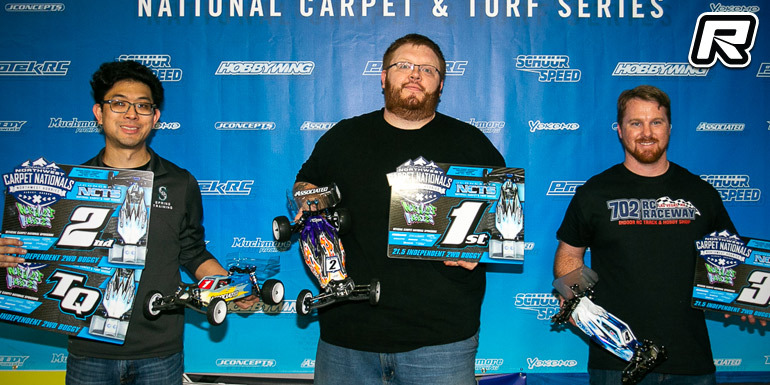 Knudtson built up his pace through the weekend and finished 2nd with young and talented NorCal racer, Joseph Levin taking home 3rd place. Austin Hansen was dialed in the 13.5 SCT blessed with polished driving and a fast truck. 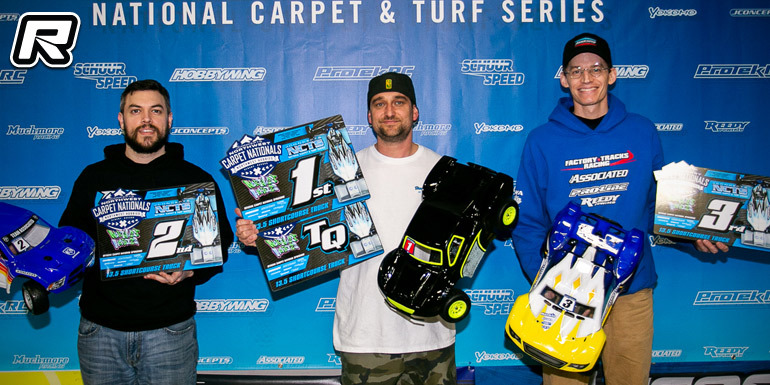 Hansen was able to TQ and take home the overall while James Halladey found the 2nd spot on the podium and Tom Tanner 3rd overall. Special thanks to Tom for making the trip from Michigan to once again partake in round 2 of the NCTS. 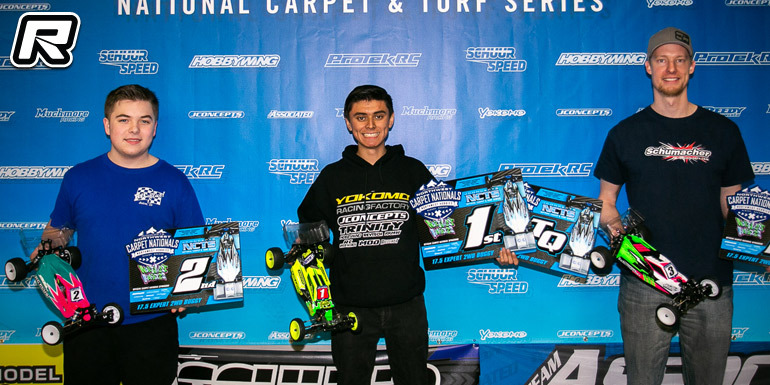 It was a true test for Matthew Gonzales in the 17.5 Expert 2WD class as Dallas, Oregon’s Alessio Coffaro was able to win A2 and push it to a champion’s decider race in A3. However, Matty G rose to the occasion delivering a near flawless run to take home the overall. Alesio impressed many as he finished 2nd and finally, Josh McCall landed himself 3rd on the podium to complete an ultra-fast top 3. 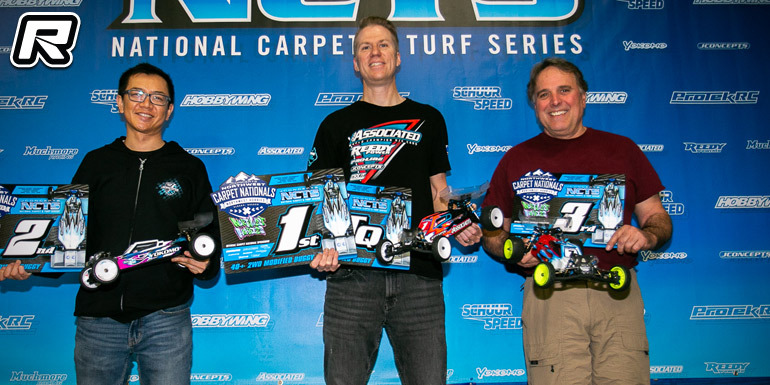 With a nearly sold-out show of 30 drivers in the 21.5 Indy class, the no-sponsor, spec tire, and hand out motor class has been a huge hit for new drivers coming into the hobby and for hobbyist racers who can’t make it to the track often. Out front was an all-out battle between Kelsey Miyoshi and Marshall Patten that included multiple lead changes, but in the end, it was Patten holding on for a clutch win as Miyoshi finished 2nd and rounding out the top 3 was Josh Blagg. Congrats to the Independent drivers for coming out and participating in this year’s NW Carpet Nationals. 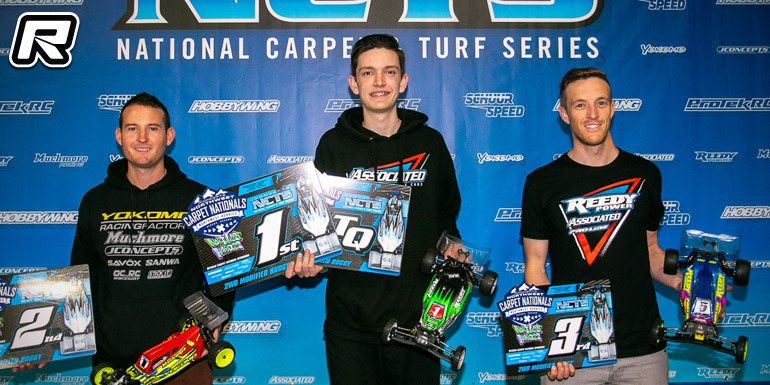 Thanks to the Novice group of racers that were in attendance at round 2 of the JConcepts NCTS. They all drove awesome and had smiles after each race. Jake Dotter crossed the line first to take the win with Corey Ware coming home 2nd and Jimmy Smith finding that last spot on the podium.